With some guidance and the best organic ingredients, Pie Provisions helps you master the art of the made-from-scratch pie crust. 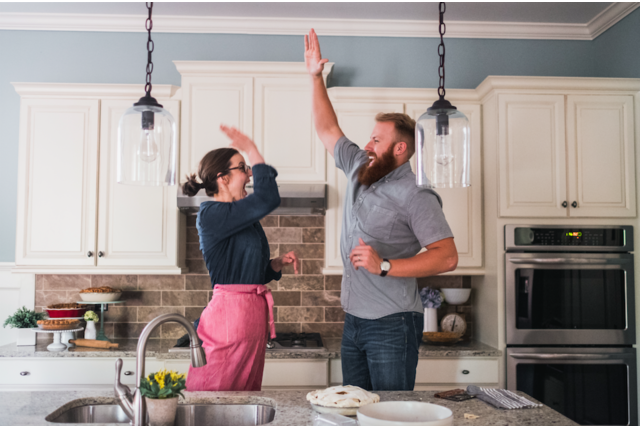 After graduating college in 2012 and leaping into the "real world", Lauren and Cody found their conventional work life a bit lack luster. Naturally, they found an outlet by combining Lauren's skill for making pie and Cody's passion for, well... eating pie! Together, they ditched their jobs to begin Pie Bar, a shop in Woodstock, Georgia that exclusively sells pie that's always homemade, fresh-baked and remarkably delicious. Pie Provisions came about with the intention of providing home bakers the ingredients and know-how to make high quality pies in the comfort of their homes. 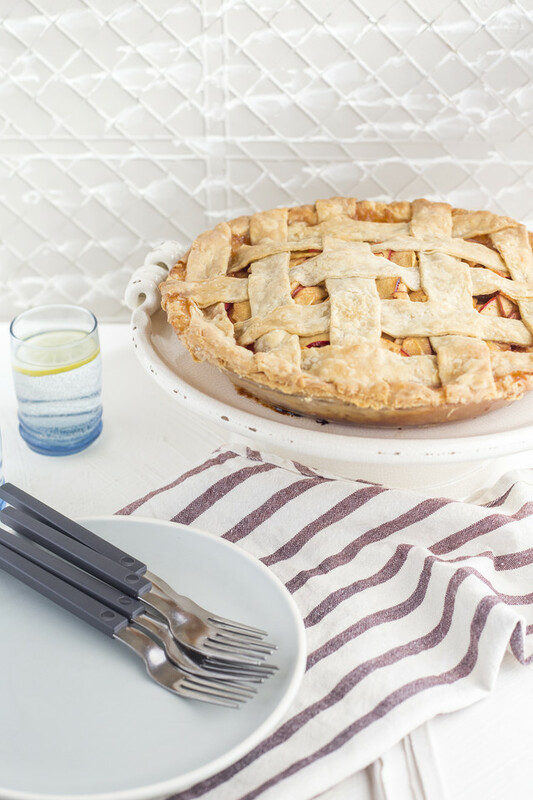 On the website, you can find handy tips and tricks, as well as all the kitchen tools you may need to make the perfect pie. They even provide a Pie Crust Mix with detailed instructions to make the intimidating task of homemade, flaky crust a snap to prepare. 1) What inspired you to jump into the pie business? Lauren: Cody and I graduated college in 2012, and went to work at pretty traditional jobs. A couple of years in, I became obsessed with making my own pie crust and baking pies, so I decided to sell them at farmers markets. After a year of dragging Cody around Georgia to sell pie, we decided that we needed to either go "all-in" with the pie thing, or stop spending so much time baking and selling pies. We didn't love our jobs, so we decided to quit and open a pie shop. It seemed fun. Cody: I knew nothing about pies except that I liked to eat them, and at the time, the most Lauren knew was how to bake a few pies at a time. L: It was a risk to open a pie shop, but two years in, we are so happy to see that other people appreciate pie as much as we do. 2) What has been the most challenging part about the pie business? What has been the most rewarding? Cody: Being a first time entrepreneur, we didn't realize how much work went into owning your own business. On top of that, starting a food based business, can be even more of a challenge. You are baking the product that you are selling the same day, and with fresh food, there is only a brief window for you to sell it. So, when we opened Pie Bar, we had to figure out what flavor pies people wanted and then what days they are willing to come to a pie shop and purchase those pies. Lauren: Of course, the most rewarding part comes when a customer lets you know that your pie reminded them of someone special in their life, whether it was a grandparent or parent. Pie has a way of reminding people of sweet memories, and it is a really special thing to be a part of. 3) Many people are intimidated by making pie crust from scratch - do you have any tips or words of advice for them? Lauren: Absolutely! Making pie is not a hard thing to do, it just takes a bit of patience and confidence! We teach classes about how to make pie crust, and the number one question we get is: "How do I make a flaky crust?". The key to a flaky crust is cold butter being cut into flour quickly, and then cold water being added and incorporated at a rapid pace. In order to move through the dough making process quickly, you need to keep your tools and ingredients organized. That means get everything you will need out and in front of you (mise en place). Once your tools and ingredients have been organized, you can move through the process of cutting in your cold butter and adding your cold water more quickly, resulting in a flaky crust. 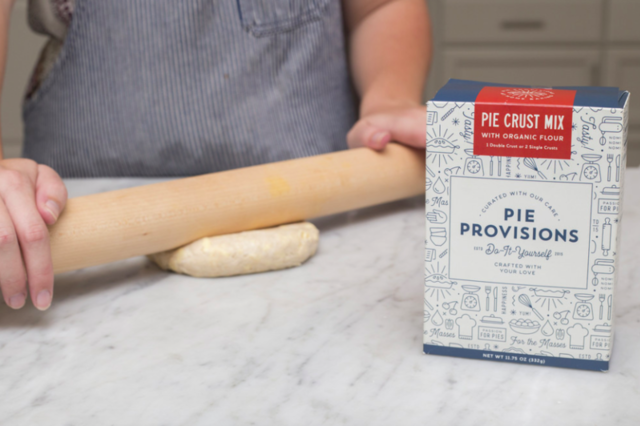 Cody: Because so many people feel intimidated by this process, we have included a "how-to" booklet in each Pie Provisions Crust Mix box that walks you through the process, step-by-step. 4) Do you have a favorite flavor of pie? What is it? Cody: It changes all of the time! We rotate our pie menu at our shop based on the season, so we have the opportunity of eating a lot of different flavors of pie. So, right now, I would say my go-to pie is the Cinnamon Buttermilk. It is a classic custard pie with a touch of cinnamon and nutmeg. It tastes like a snickerdoodle, but in pie form. Lauren: I find myself eating a lot of Pumpkin Pie right now. We roast fresh pumpkins and add a cinnamon whipped cream. It tastes like fall.